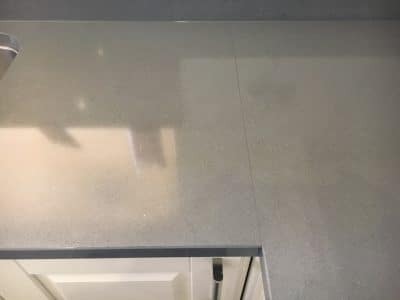 Another engineered stone kitchen top with the same old story of oven cleaner staining the stone by chemical reaction, the repair is not always successful but in this case the results were very good. 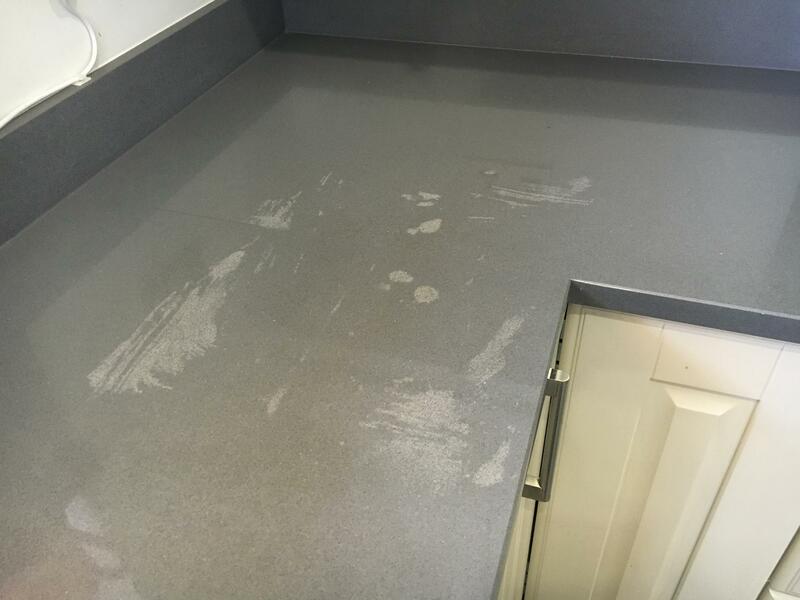 Close up of the main damaged area of the worktop shows obvious stains. Different angle of the damaged area where the oven cleaner attacked the stone. 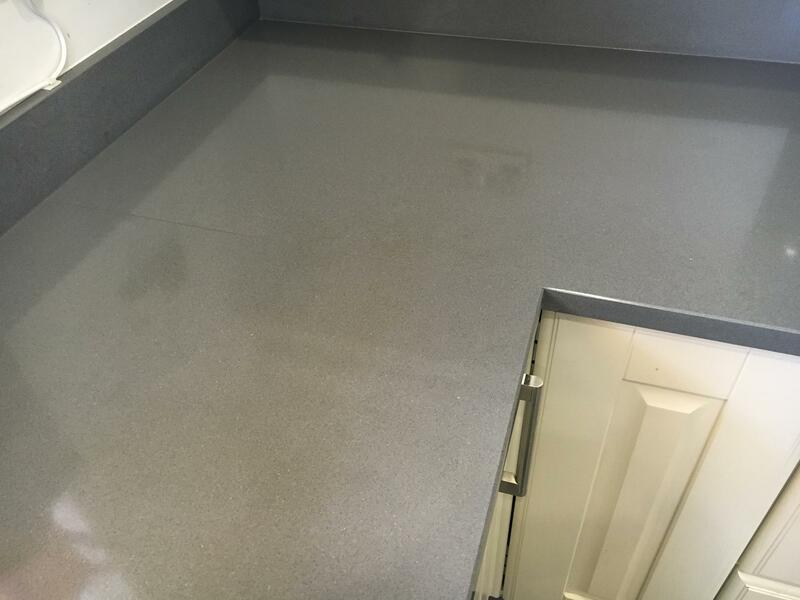 After the clean-up and treatment there is no trace of the stains. 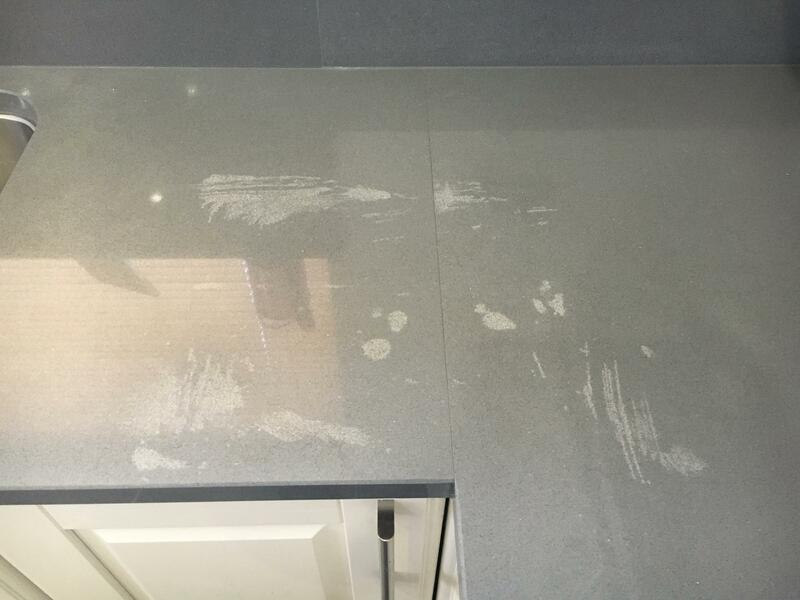 Original view of the previously damaged area shows no stains at all.